If you own a niche blog or a business website, you’ve probably heard about making money online through ads. How does it work and how much can you really earn? In this article, I am going to show you how to start with Google Adsense and what are the things that you should know as a new publisher. Google Adsense is basically an advertisement publishing platform that involves 3 parties; an advertiser, Google and a publisher (that’s you). An advertiser who has a product/service to offer online will create a keyword targeted advertisement and bid to compete with other advertisers for an ad placement. Google crawlers will then match these keywords with the content and audience of a website that activates Adsense. The technology at Google places ads automatically on your site without needing you to deal with the advertisers. 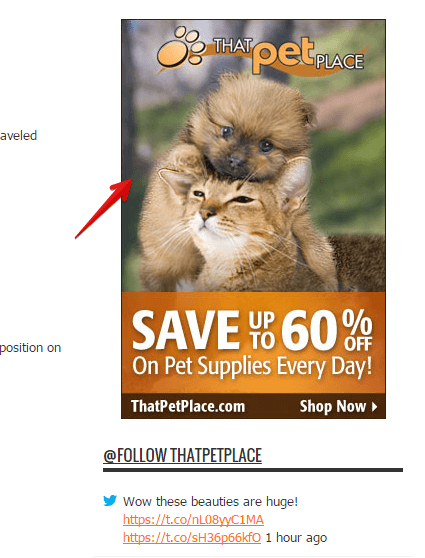 Here’s are some examples of ads that can be found on an affiliate blog that sells pet products. So when a reader visit this blog and click on any of these ads, it will lead her to the advertiser’s site and you as the publisher, earn a small percentage from that click. That is in a nutshell, how Google Adsense works. How to Start with Google Adsense? The first thing that you need to do is to set up a Google Adsense account using a valid Gmail address. Read through the terms and condition carefully as violation of these will render the termination of your account. Then, submit the application and wait for your confirmation via email. Once you are approved, go into your Adsense account to create an ad by selecting My Ads > New Ad Unit. Under this section, there are a few things to fill out. 2) Determine the Ad Size that you want to be displayed. 3) Select the Ad Type such as text, image, rich media, etc. 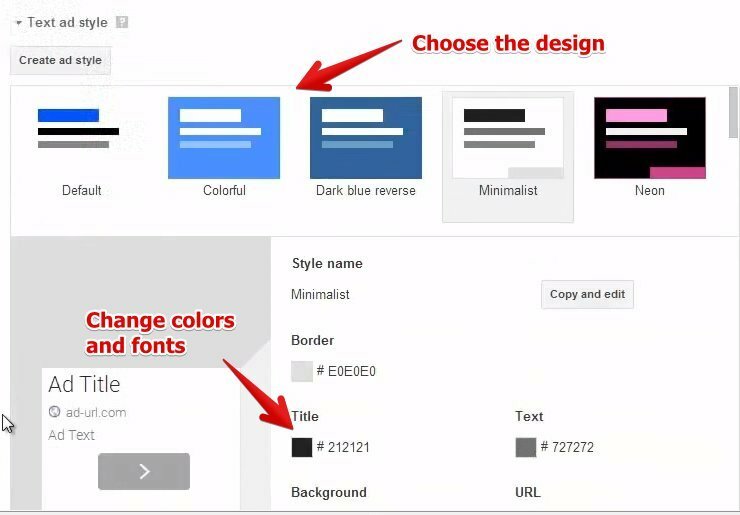 4) Select the Text Ad Style by choosing from a combination of colors and fonts. 5) Create Custom Channel if you want to group individual ad units and get performance statistics. 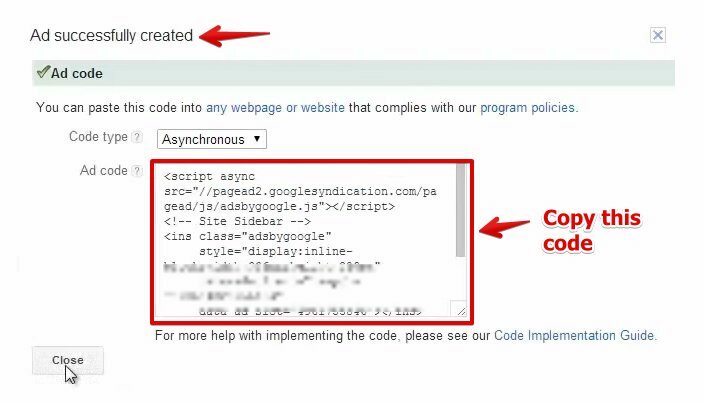 6) Choose Backup Ads in the event when Google can’t find targeted advertisements to display on your site. Right after that, you would click on “Save and Get Code” and copy this autogenerated code. Back at your WordPress website (recommended), you would paste this code at the location where you want the ad to appear. For example, if I want it to show on the sidebar, I would drag the text widget, place it on my secondary sidebar and paste the autogenerated code there. Click on save and when you go to the front end of your website, you’ll be able to see the advertisement appearing in the sidebar. Now, here’s another cool thing that you can do with Adsense. 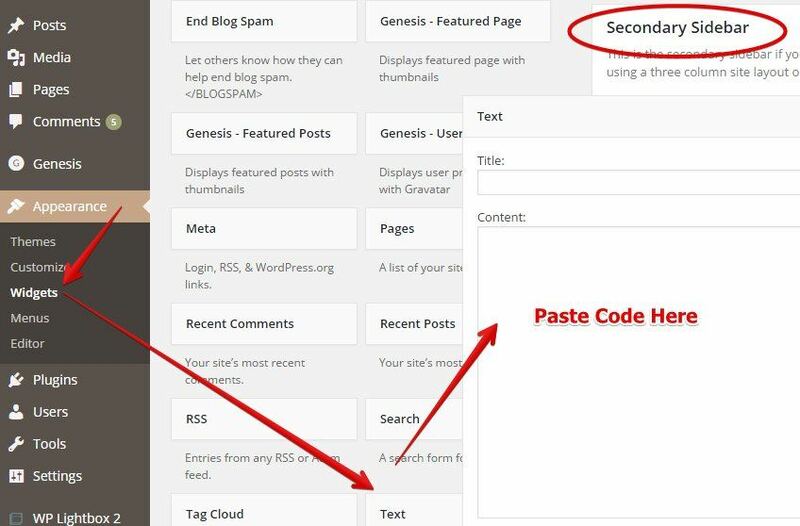 If you are on WordPress, you can install the official Google Adsense plugin and let it help you find strategic spots on your website for ad placement. See all the red plus signs? You just need to click on it and see how an ad would look like (green box) with the content on your site. By activating Adsense on your website, you are now ready to make money from ad clicks. In case you don’t already know, the earnings from Adsense come in the form of pennies. On average, an advertiser will pay between 2 to 15 cents per click (more, on rare occasions). So, assuming you want to earn $10 from an ad that pays 20 cents cost-per-click. Theoretically, you’ll need 50 visitors to click the ad to make that money. In reality, it’s more challenging than a simple calculation. There are a lot of variables that influence this number. Here are some that you need to take into consideration. How many visitors come to your site per month? How many percentage of these visitors would click the ads? Are the ads even visible to the visitors? If you can optimize the first three, then you have better chances of profiting from Adsense. Is Google Adsense Worthy of Your Time? The best way to answer this question is to look at the limitations and potentials that come with Adsense. To get traffic, you need to have consistent good quality content. If you are running a new blog and your traffic is like 20 to 30 clicks per day, chances are, people are not going to click on ads. You need MASSIVE traffic in order to get a small percentage of people who MIGHT be interested in ads when they are on your site. Even when you are starting to earn a bit, you’ll still need a minimum threshold of $100 before you can cash out your profit (in the following month). What kind of niche are you involved with? If it’s a demanding niche, advertisers are likely to bid more on competitive keywords, thus increasing your cost-per-click. If it’s not a popular niche, advertisers are likely to pay at the lower range. Sometimes, what you think might be a good ad placement can backfire on your click-through rate. If the ads are all over the webpage, irrelevant and downright annoying, readers will just leave without even bothering to read your content. In their eyes, it’s spammy. However, the one formula that will make Adsense worthy of your time is when you have good quality traffic (build naturally) that comes to your site to seek for helpful and engaging information. When people stay long enough, they will eventually take notice of your ads, click on it and make you some money. You can’t expect to activate ads and get rich within a month or so. Since the earning factors are quite volatile, you also can’t rely on Adsense as the main source of income for your blog. However, if done right, at the right time with the right kind of audience, it can certainly grow some profit over a long period of time. I hope this article has given you some perspective on how to start and make money with Google Adsense. If you like to know other ways to build a successful online business, check out my my recommended training platform here for more information. Do you have any thoughts or questions about this topic? Feel free to leave them in the comment area below and I’ll get back to you. I had heard of Google Adsense but never knew exactly how it worked. This information really helped me. Even though the earning potential may be low, it may still be something I need to check out. One question, though. 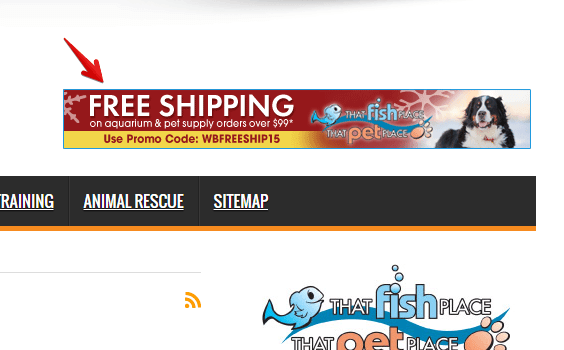 Do the ads you put on your website have to be related to your topic? I guess I assume they do, because why would you put an ad for pet supplies when your topic is exercise. or whatever. I am thinking this is something I might want to do in the future, but not sure what kinds of ads I would be able to find for my topic or where I would find them. I will need to visit your site again to learn more topics. You don’t actually ‘place’ the ads on your website. Google will find the right type of ads to display based on your ad settings. As long as you are writing good quality content, Google will pick the ads that are most relevant to your topics. So there’s really no need to look for them. Thanks for this advice Cathy. I’ve heard of Adsense and did look into it but didn’t really have to time to understand it. It’s now a bit clearer in my head. So the ads that pop up when a visitor visits my site, they will be looking at adverts relevant to what they’ve been searching in the past, correct? I suppose this would make sense. These’s no point having ads appear that have no relevance to the visitor. I also have another question. Do you know if any particular size banner is more effective than others? There are several ways in which ads are picked and targeted to your readers. You can find more information at the official Google page here. If the ads show products that the readers searched in the past, that’s called “Interest-based advertising”. As for the ideal banner size, no, I don’t have any idea. I think it depends on what works for your website by trying different size, position and such. I was considering to start using Google Adsense but I am still building my website, so the traffic isn’t very high. Now I understand why it makes sense using Adsense when you have a more steady flow of traffic. An easy to understand explanation of how it all works, just what I was looking for. Thank you for shedding some light for me. Not a problem Zuzana. Building organic traffic takes time – the more content and the more frequent you publish them, the better the traffic. Advertisement can wait. Focus on your main conversion first which is your targeted affiliate product because that will bring you the most traffic. I love how you break down, the Google Adsense process. Anyone new to the online space have not a clue what any of this even means or even where to look. You break it down in simple terms which allows a newbie to jump right in and learn the steps to be successful in this. Thanks for your time in doing this research to put such an awesome post together. Look forward to more. 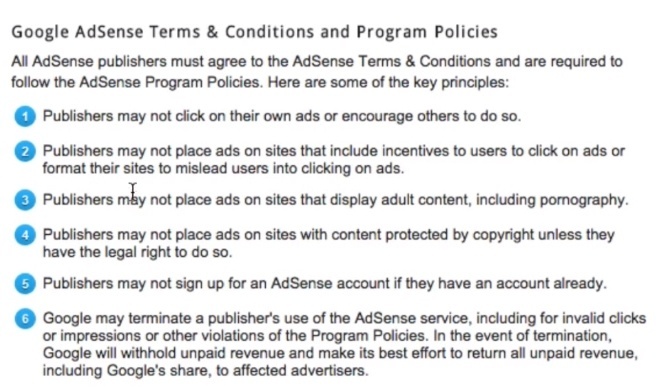 Wow, this is a very detailed description about Google Adsense. It seems there are so many products and advertisers associated with this platform. If your website does not perform too well in Google rankings, does Adsense pull out and withdraw from your account or do they stay indefinitely? I think the scenario could be the other way round. If you have too many advertisements on your site, it could distract your readers attention, causing you to have higher bounce rate thus lowering your Google rankings. As far as my knowledge is concerned, Adsense is something you install and it wouldn’t get pull out from your site unless you deactivate your account. I like the idea of showing exactly how Adsense works. Personally, I haven’t found it to be very profitable. Perhaps it’s because it’s difficult to place effective ads on my sites. Aside from my personal woes, you’ve done a good job of explaining the process thoroughly and effectively. Someone who knows nothing about the process can and will learn a lot from what you’ve written.